Here is traditional “kid food” made in a way I am comfortable serving it to my daughter. I use the gluten free noodles simply because it is a way to get different grains into her diet and the brand I choose is nutritionally dense compared to traditional dried pasta. I also add in some grated zucchini because the texture fits right in. The sauce is vegetables and nuts. How awesome is that?! Again, nutritionally dense, and very yummy. My husband and I love this mac and cheese. 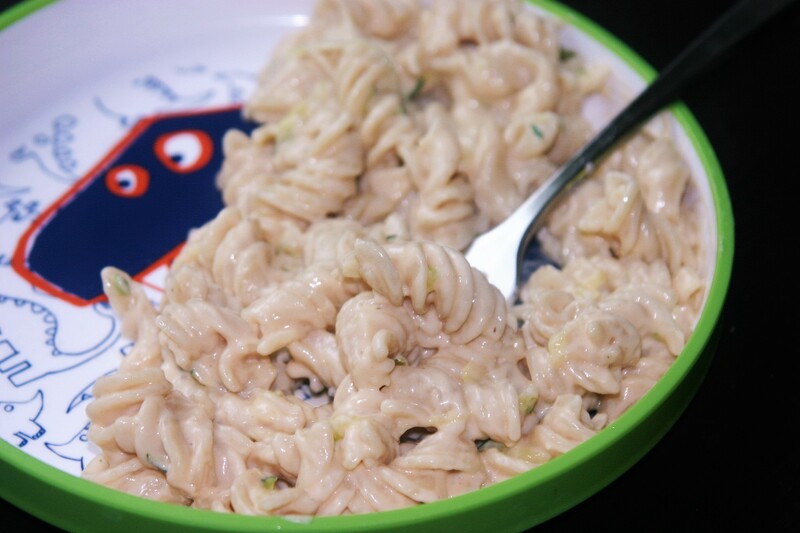 It tastes very similar to my other vegan mac n cheese but uses a few different ingredients to keep it gluten free. During the last minute of cooking throw in the zucchini to soften it before draining everything together. Drain potatoes and carrots reserving at least 3/4 cup of the cooking water.